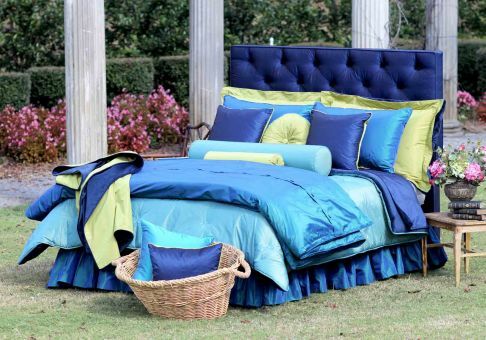 Our custom boxed headboard provides a striking finish to your bedding ensemble and is available in multiple sizes. 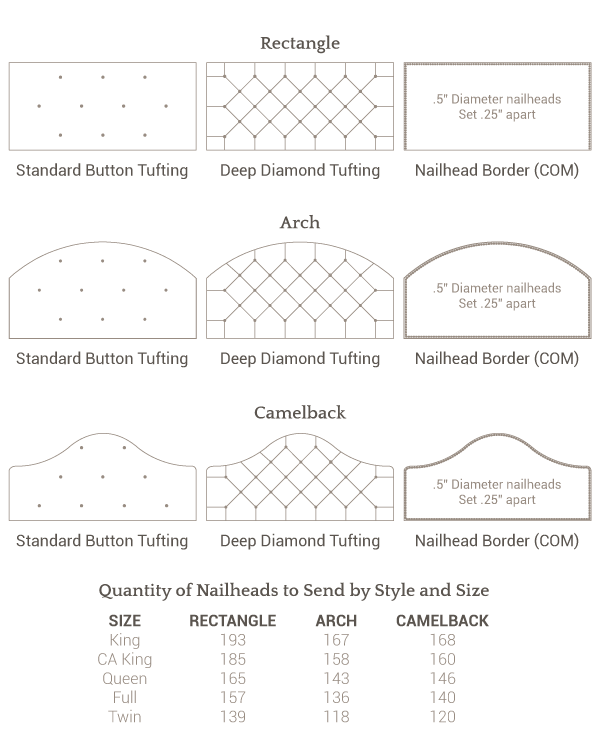 This offering allows you to select welting, standard button tufting, deep diamond tufting or nail heads, as well as concealed legs or wall mount. 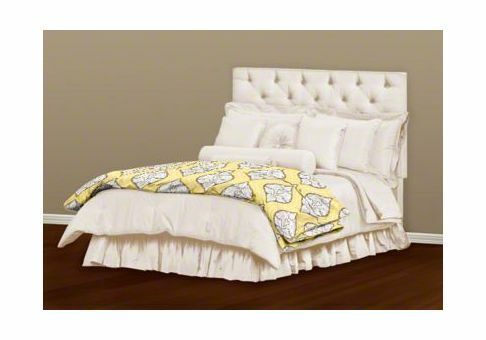 Couple these options with our fabric assortment or your COM, and you will create the headboard of your dreams. 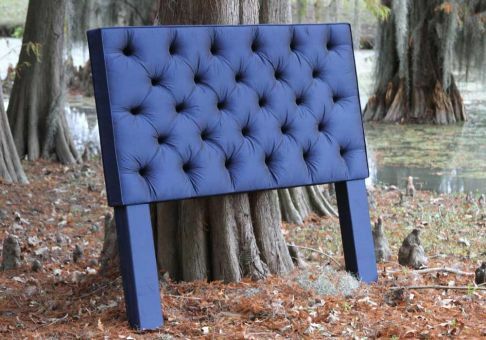 Our custom headboard creates a beautiful retreat, and it's exclusively made for you in the USA! Our custom headboards feature chipboard covered with 2 inches of foam padding on front with 8 ounces (approximately ½ inch) of batting. Concealed legs are fabric-covered legs that slide up inside the headboard body, so the headboard will be flush to the wall. Hardware to attach the legs to the headboard body is included in this option, however, hardware to attach the legs to the bed frame is not included. The finished height for all sizes is 49 ¾" (29" actual headboard height + 20 ¾" leg height). Please contact us for other custom height required or place the height in the customer notes section of your order. To pre-measure for the accurate height, measure with a metal tape from the floor to the top of the mattress, or where you want the body of the headboard to start. A good rule of thumb for the headboard to start is 1 inch below the mattress. There is no additional charge for different leg heights. 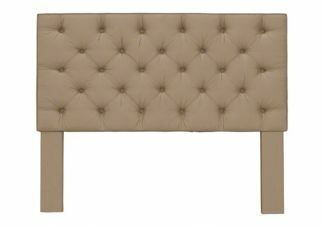 Wall-mounted headboards do not have legs and are not flush to the wall. Mitered boards and hardware to hang the headboard on the wall are included.